Further complicating the issue is that there are no widely accepted or adopted industry guidelines for how these relationships should be conducted. Although the American Association of University Professors has issued recommendations for engagement, according to Laura Markwardt, a spokesperson for the association, “We don’t necessarily track which colleges and universities adopt which provisions.”* Among the sources I contacted—including representatives from the American Academy of Arts and Sciences, the American Association of State Colleges and Universities, the American Association of University Women, and others, as well as individual academics and officials at more than a dozen universities across the country—none knew of any universal standards governing such relationships, only the occasional rule or rules recommended by a given research department, university, or academic journal. Defending science without universal engagement standards is difficult; but it is especially troubling given the contempt for science pervading government right now. For some scientists, it’s hard enough trying to convince many elected leaders that they should be informed by scientific research, rather than philosophical or religious beliefs, on politically charged issues, without having to also defend corporate-backed studies. Shortly after the presidential election last fall, thousands of scientists from around the country did call on the Trump administration to set high standards for integrity and transparency in supporting independent scientific research—and, importantly, to allow that science to guide state and federal policies. For many academics at public research universities, however, the question of who’s funding what, and how their research is used, is just politics as usual. Meanwhile, the acute need for corporate funding at public universities is only growing—as is the opacity around whether funders are influencing research results. In an age of instant information, such deficiencies can undermine even the most valid studies and the most reputable scientists. Unlike in the lab, when it comes to funding relationships, there is no scientific method. At private universities, corporate donors and large endowments are part and parcel of day-to-day operations. But what about public universities, which are directly funded by taxpayers and which are subject to public-records laws? Is there an inherent conflict of mission between a public university and a private corporation? It’s hard to say—and that’s mostly because it’s impossible to get a clear handle on exactly how much corporate money is flowing into public-university research in the United States. That’s because much of that funding is simply not disclosed. Only one university, the University of Michigan, maintains a public database of how its research is funded. I sent public-records requests to more than a dozen public universities—many of them among the National Science Foundation’s top-10, tier-1 public research schools—for information on corporate-sponsored research. Only four of those requests yielded a full response. The rest netted documents with vital information redacted, were met with extended processing times of up to six months, required fees of several hundred dollars or more, or, in some cases, were ignored or just flat-out denied. Research funding finds its way into universities in a number of ways. Sometimes the money goes into a school department dedicated to soliciting and working with corporate partners for research purposes. Other times, funds go into the university’s foundation. Donations to a university’s foundation are tax-deductible and, depending on the state, may or may not be subject to public-records laws. 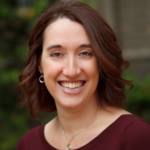 Research compiled by Alexa Capeloto, an assistant journalism professor at the John Jay College of Criminal Justice, found that 20 states have attempted to regulate public-university foundations through legislation or case law. Eleven states determined that university foundations serve as an extension of the university and are subject to public-records laws. Nine states exempted the foundations. Only eight states have passed clear laws on these foundations, and of those, three defined foundations as nonpublic entities. As a result, it can be near impossible to track the source of research dollars—however public the institution. Often it is the companies themselves that provide the most information about educational outreach. The Dow Chemical Company website, for example, lists more than 30 universities it partners with “to advance scientific research and develop the world’s next generation of scientists and leaders.” Monsanto collaborates with universities in a number of ways, including through “peer-reviewed research in academic journals” and by providing “graduate-degree advisors and academic mentors.” And DuPont’s seeds division, Pioneer, sponsors symposia and workshops on university campuses throughout the United States. But even though corporations may be more eager than their academic partners to announce their sponsored relationships, it doesn’t mean that universities are just passively accruing funding. In fact, universities are counting on that revenue and are actively courting industry dollars. One way they do so is through “industry-affiliates” programs, which—for a fixed fee—provide corporate partners with a wide range of benefits, like a guaranteed seat on an advisory board, early access to student résumés, private recruiting sessions, or full access to in-person meetings on campus. Industry-affiliates programs are usually organized by individual departments, even within the same university, and have varying levels of oversight and transparency. On nearly every school day in September 2016 alone, one or more industry partners hit the Purdue campus. In the Department of Food Science at Purdue University, partners are invited to pay $5,000 a year for influence over “current and proposed curricula,” as well as an array of other benefits, from prepublication review to access to students and “potential consultants.” The offer is so attractive that on nearly every school day (and on some weekends) in September 2016 alone, one or more industry partners—like ConAgra, Nestle, Pepsi, and Dow Chemical—hit the Purdue campus to host an informational meeting, ice-cream social, or interview session. Laurie Van Keppel, the career-services and external-relations coordinator at Purdue’s Department of Food Science, says, “Our department continually gets feedback from our industry partners about the skills that food-science graduates need to be successful professionals.” In return, she says, “Our faculty give short presentations at the industrial-associates meetings,” since industry partners want “to keep up to date with current research being conducted by our department.” Some professors even take a sabbatical to work on projects at a partner company; then they return the following semester to teach those case studies to their students. Although schools create these prix-fixe research menus for their corporate members, Jeffrey Coriale, the director of external relations for the Institute for Systems Research at the University of Maryland, says the actual relationships are more à la carte. “Every partnership and partnership program is a little unique,” Coriale says, “and you have to structure your partnership to build that relationship so that it will provide the right benefits based on what you might want to do together.” That’s also why industry-affiliates programs don’t serve as disclosure clearinghouses for all the relationships between faculty and their corporate partners. Coriale says that faculty members develop individual consulting relationships with the corporate funders and are not always obliged to share the details with him or the university administration. Consequently, even the university may not be fully aware of a researcher’s involvement with a sponsor. Eileen Buss, a former director of the industry-affiliates program in the entomology department at Purdue, says these programs are “controversial.” “It has an appearance, by paying a fee, of buying the researcher,” Buss says. The U.S. Office of Research Integrity monitors allegations of research misconduct and fraud in publicly funded research. No such monitoring currently exists for corporate-funded research. 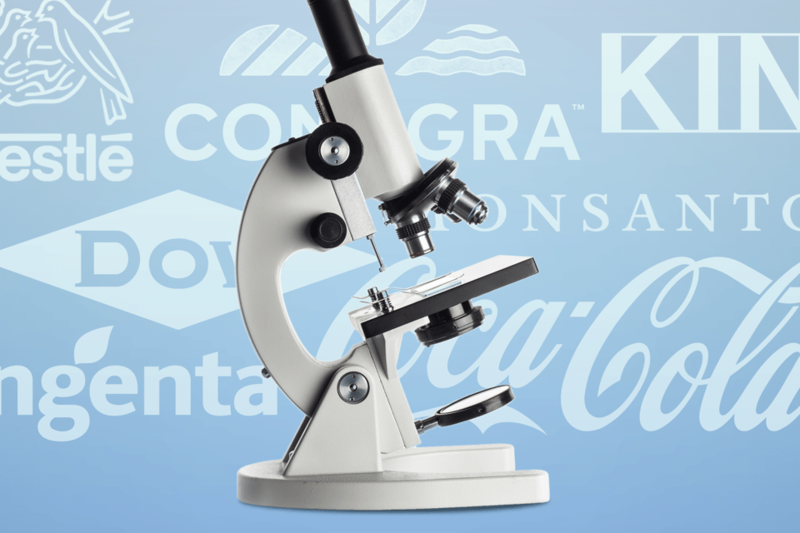 That means corporate sponsors can often influence every part of the process—making calculated suggestions about everything from sampling size to specific survey questions. “What tends to happen with industry-sponsored research is not fraud, it’s not misconduct, it’s nothing that would be retractable,” says NYU’s Oransky, who’s also the co-founder of Retraction Watch. “It’s that they pick questions, and they pick studies, and they pick study designs that are likely to give them the answer they want.” This is exactly why scholars like U.C. Davis’s Eisen, the professor who refuses to sign NDAs, argue that disclosing corporate involvement in research is critical. Blair insists Coca-Cola didn’t control his research—though he acknowledges that he may have taken their advice when crafting the study. “I don’t remember any of the details,” Blair says, “but I’m sure that in discussions with scientists—Ph.D.-level scientists at Coke, discussing the project—I’m sure occasionally we might have said: ‘Oh, that’s a good idea. We’ll put that measurement in, or we’ll do this, we’ll do that.’ So it’s not that we totally ignored them, but we decided what we wanted to do.” Despite this patina of compromise, Blair lauds Coca-Cola for funding a 430-participant exercise study he conducted—one of the most extensive of its kind. According to a representative for Coca-Cola, the company “is committed to transparency” and regularly updates their website with their “funding of well-being-related scientific research, programs, and individuals.” But it was the iconic company’s lack of transparency that finally caught up with its Global Energy Balance Network: The group disbanded amid controversy just months after it launched. That lack of transparency about who’s funding what universities extends to off-campus engagements, too. Researchers regularly promote their work through interviews or speaking engagements, are panelists at conferences, endorse products, or even testify before Congress. When Dr. Larry R. Faulkner, president emeritus of the University of Texas at Austin, testified at a hearing before the U.S. House Committee on Science, Space and Technology in September, he argued that the “continuing expansion of federal regulations and requirements is diminishing the effectiveness of the U.S. research enterprise.” But he did not—and he was not required to—disclose his seat on the board of governors of ExxonMobile, a company that would likely benefit from fewer government regulations on academic research. That’s because when faculty members testify before Congress, witness-disclosure forms require that public funding be disclosed—but corporate funding is exempt. In an ideal world, public colleges would be able to thrive entirely on public dollars and modest tuition. But in the real world, higher education is getting less and less public funding. A recent report from the Center on Budget and Policy Priorities found that the average state is spending $1,598, or 18 percent, less per student at public two- and four-year institutions than it was before the 2008 recession. Overall, after adjusting for inflation, funding is almost $10 billion below what it was just prior to the recession. Not only is there less money, there are also far more colleges than there were a decade ago, according to the National Center for Education Statistics. A lot of schools are. In many cases, state funding is earmarked to support university infrastructure, like lights, classrooms, and general maintenance, but there isn’t funding set aside for much else, like new lab equipment, sports teams, career services, and innovation hubs. That’s where corporate relationships prove vital—as noted by the names of many campus buildings or job-fair sponsors. Public records obtained through a Freedom of Information Act request show that at Iowa State University, for example, donations from Dow, Syngenta, and Monsanto helped fund the athletics department. At the University of Michigan, a consortium of automotive manufacturers, telecommunications companies, economic-development groups, and others have formed the Mobility Transformation Center, where they aim to build a smart grid of connected and automated vehicles. In a partnership with the University of Washington, Amazon launched Amazon Catalyst, which provides grant funding to any member of the university community, in any discipline, with an idea to tackle a pressing societal issue. Often, these endeavors can be great academic experiences for university students. After all, research being conducted at universities at any given time could end up influencing nearly every aspect of the average consumer’s life—from the nutrients in food to car-safety mechanisms to life-saving drugs. Research leads to product development and policy decisions; it finds its way into medicine cabinets and hospital rooms and onto dinner tables and digital tablets. And when conducted at a university, research has the air of impartiality—something many corporations use to their advantage. In 2015, a group of researchers, including Dr. Stephen Smith of Iowa State University, argued in a paper that increased intellectual-property protections for genetically modified crops benefit farmers and consumers alike. An industry trade group, the American Seed Trade Association, funded the project, and Smith has served as chair of that group’s intellectual-property committee. Last spring, Smith published a second version of the paper, not as a result of duplicating the study, but to make the findings more accessible to plant breeders and policy-makers. This reissuance was timed to publish just as the first wave of patents on genetically modified organisms were expiring and new intellectual properties were entering the open market. The patent changes meant that seed dealers could now breed varietals based on previously protected intellectual property—and it would cost less and come with no restrictions on replanting. But Smith’s paper made the case that it’s in everyone’s best interest to continue planting crops with protected seeds. Smith says that intellectual-property protections ensure that farmers don’t purchase seeds that won’t grow or buy already-harvested seeds, which produce a lower yield. “And that’s important to the farmer,” he says, as creating high yields is a critical part of agricultural development. “But the main benefit, the main beneficiaries of all of this, is actually you and me, as consumers. We are the end of the story, the end of the line in terms of getting the most benefits from improved quality and quantity of food production.” This statement—that protecting the intellectual property of seeds benefits farmers and consumers—wouldn’t be out of place on, say, the website of DuPont Pioneer, DuPont’s global seed company. That’s because, while encouraging farmers to continue using seeds with intellectual-property protections may or may not benefit both farmers and consumers, it definitely benefits companies like DuPont. Indeed, large agricultural companies like DuPont are arguably the biggest beneficiaries: DuPont owns thousands of patents and together with Monsanto and Syngenta controls more than half of the global market for seeds. To be clear, there is absolutely no indication that Smith’s study isn’t valid or that he didn’t follow the letter of the rules for disclosure within the university, his department, or the journal that published his paper, Crop Science. The problem is that without universal guidelines requiring such transparency, consumers don’t actually have all the information they need. When a career-corporate scientist conducts a study, disclosing that career-corporate relationship seems particularly relevant. Many experts, like the Union of Concerned Scientists, argue that such affiliations are as critical a data point when assessing a study as sample size and that more transparency is preferable to less. U.C. Davis’s Eisen is a proponent of the open-science movement, which advocates for access to all scientific research and data for anyone who wants it. The idea is that by making all research, methodologies, and results available to the public, everyone can participate in the scientific discussions affecting society and build upon each other’s work. It also makes studies easier to replicate and verify. The movement hinges on transparency—and disclosing funding is a fundamental component of that. In the absence of an institutional structure and support for disclosure, corporations are free to “game the system,” as the Union of Concerned Scientists put it. Researchers may be bound by the disclosure and conflict-of-interest policies of their universities or journals, but those policies can vary so widely, contain so many omissions, or be so riddled with caveats that loopholes remain—not to mention the labyrinthine matrices that any reader looking for the entire scope of funding would have to navigate. This “patchwork of disclosure requirements … leaves scientists completely unprepared for the scrutiny that they’re going to face,” says Halpern, of the Union of Concerned Scientists. “Their institutions give them a minimum set of disclosure standards, and many scientists think that’s enough. And my view is that those kinds of guidelines can give scientists just enough rope to hang themselves.” That’s why the burden is currently on researchers to self-disclose. Eisen, for one, regularly publishes disclosures on his blog, listing everything from the corporate funding he has accepted to the stocks he and his wife own. Amid the growing presence of research funded by private enterprise, it is time for the ivory tower to shed those remnants. Many researchers think they are working in the best interests of society, but without full disclosure, it is impossible to know. In their desire to snag funding, what compromises are universities making? * This article originally referred to the AAUP as the American Association of University Professionals. We regret the error. The McGraw Center for Business Journalism at the CUNY Graduate School of Journalism provided partial funding for this investigation. An independent journalist who divides her time between Washington D.C. and Europe. Her work has appeared in Al Jazeera English, US News & World Report, Middle East Eye, The Washington Post and National Geographic, among others.